Have you ever had to watch a talk or lecture video and wished that you could somehow speed it up, yet still get the gist of the whole thing? Or maybe there's this movie that you have to watch for class? Or maybe you're like me and you want to watch a bad movie but somehow lessen the time investment. The answer is the open source, free media player VLC. 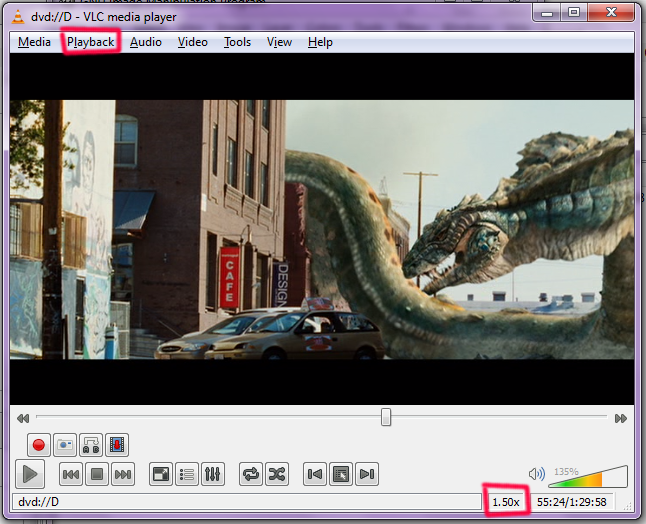 Under the Playback menu, you can click on Faster (fine) to increase the speed by 10%. 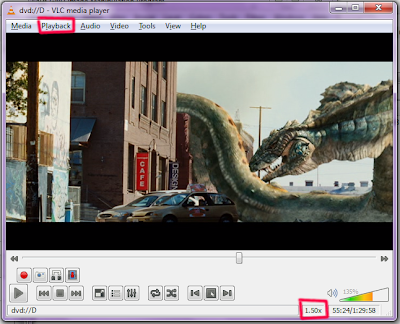 Here in the screen shot I increased the speed by 50% over the original speed to watch Dragon Wars. You can also use a keyboard shortcut using the right bracket ].